The Home Investment That Pays Off in a Big Way - Best Home TV Projectors | Valet. It's kind of ironic. There are more TV shows and movies to absorb than ever, and yet so many of us end up watching them on our computers, or maybe on our iPads in bed or worse, on our phones during a commute. It's fine and it keeps us up to date on the latest binge-worthy show but it doesn't make for that enjoyable of an experience. The solution? Turn your home into a cinema. You know that utterly absorbed feeling you get from a movie theater? Imagine having that in your living room while watching your favorite show or movie (but without the $18 in snacks). While you can obviously project on a blank white or grey wall (and get good results), a screen that's specially made for projection will make for optimal image quality. 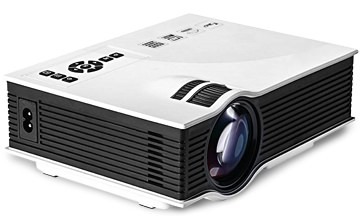 A quality projection screen will refract both shadows and highlights with no loss of details, but if this is your first projector, start by simply shining onto a wall and see if that works for you. 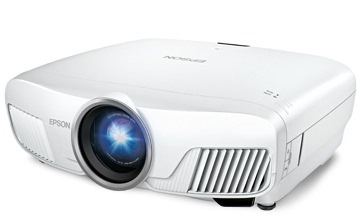 We're talking about upgrading your flatscreen to a projector. You may be thinking that your 60-inch LED TV is plenty big enough, and you might be right. But most of us have our faces buried in large, high-definition screens all day at work. Suddenly, that 60-incher doesn't pack the same punch as it once did. But we're here to tell you that a 120-inch (or say, even a 200-inch) projection is one hell of a game changer. Because cinematic television shows really sing when they're nearly as big as your freaking wall. Plus, from a tech-lust-versus-interior-design standpoint, making the move to a projector is a win-win. You get a big, lush picture without the huge, unsightly black screen taking up all this real estate as the room's unintentional centerpiece. And then there's the portability of these projectors. You want to bring it outside for a party or an evening with someone special? Easy to do. You can even position your projector to display on the ceiling above your bed. Talk about a relaxing and captivating watching experience. 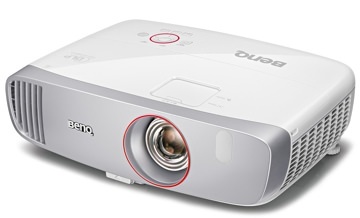 This compact model delivers rich color and an immersive 100-inch high definition picture for about half the cost of similar projectors. 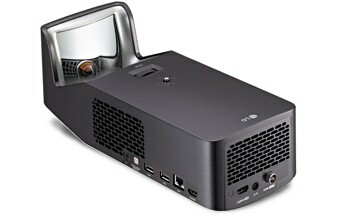 If you don't have much space, this "short throw" projector from LG only needs to be a little over a foot from your wall to project a 100-inch image. If you want the best cinema experience (think intense colors and deep, rich blacks even during bright daylight hours) or crisp video game details on a 200-inch projection, then this model will be worth the investment. This small WiFi-equipped projector weighs just two pounds and measures 6" by 8", meaning it's the simplest to install. Plus, you can easily stream video straight from your phone or tablet. Fool proof ways to make your place look more pulled together. There are plenty of reasons why your house needs one. Here are just a few.